Are you the best school-based judo club in NSW? If you run a judo club whose members are solely from a school where your club is based and you have a true partnership with the school, then tell us about your club as we would like to encourage and recognise Judo in NSW schools. Any other activities you think we should know about e.g. demonstrations done at school open days, assembly’s etc. 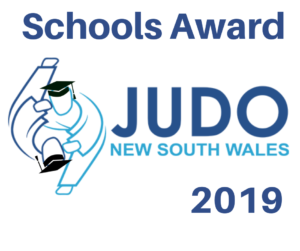 Award for the best schools-based club will be judged by Judo NSW and will be awarded at the annual awards ceremony held each year. Complete your nominations by the 30th of September this year using the form below. Club must be in partnership with school – clubs based at a school location without the input or partnership with the school do not qualify. What will our club & school win? The “Judo NSW Best School Judo Club” Trophy – plus – $1,000 of Judo equipment for your school’s club! This is new annual award that will be judged through recommendations from the Schools Committee with a final ratification from the Judo NSW Board. Any conflicts of interest due to involvement of judges or committee in a school program will be managed by the President.